As tension continues to rise in Sierra Leone, over the vexatious issue of the sacking of the vice president Sam Sumana, citizens at home and abroad have strongly made known their views on the constitutionality of president Koroma’s actions. Legal scholars and practitioners too, have also made their views known. But until now, the views of Kandeh Yumkella (Photo), an eminent citizen of Sierra Leone, are yet to be unveiled. Until recently, Dr. Yumkella was the Under-Secretary-General and the Special Representative of the UN Secretary General on Sustainable Energy for All. He was the chief executive officer of the Sustainable Energy for All Initiative. He was also the Chairman of UN-Energy and a two-term former Director-General of the United Nations Industrial Development Organization (UNIDO). So where is Yumkella now, and what has he been up to, whilst this constitutional crisis has been brewing, and is now poised to derail the country’s hard-won peace? The editor of the Sierra Leone Telegraph – Abdul Rashid Thomas, caught up with Yumkella who is now in Freetown, via telephone. (Here is the unedited recording of the full interview. We apologise for the temporary break in sound). Yumkella arrived in Freetown yesterday, Sunday, March 22nd. He is on the ground in Sierra Leone, where he is consulting with key stakeholders, and ascertaining facts from fiction. Although Yumkella has taken time off to stop over in his native country, during this moment of need, he says that until he hands over to his successor in July, he remains committed to his UN ethos. We know you have been actively following the issues related to the Vice President. What is your assessment of the situation? During the past two weeks, I have consulted with lawyers and legal scholars about the interpretation of sections 50, 51, and 55 of the constitution of Sierra Leone Act No.6 and other provisions germane to the issue of the removal of the vice-president from office. On a matter of such legal complexity, it is my view that those in political authority in the country ought, at all times, to be guided by the PRINCIPLE OF LEGALITY – essential for a stable, viable and prosperous democratic Sierra Leone. The national constitution must be the supreme authority of the land. Having looked at the facts of this matter and spoken to some of the stakeholders involved, so what did your inquiry reveal? I fully endorse the open letter of Justice Dr. Abdulai Conteh and the additional interpretation given by Lawyer Charles Margai. Justice Conteh was a key brain in crafting the 1991 constitution, and he has also served as both Vice President and Attorney General and Minister of Justice of the republic. So he has been on both sides of the fence. As explained to me by other legal scholars, it is evident that the rationale behind the provisions in the constitution for the removal of the President and Vice- President from office is to protect the holders of each office from executive or legislative arbitrariness in being removed from office. The second is that, by parity of reasoning, it is to guarantee the holders of the offices maximum due process and safeguards, prior to removal from office. So, only parliament can “relieve” the Vice President from his elected post. Where do we go from here and what should be done now? In the ultimate analysis, this is a complex issue that falls within the “original jurisdiction of the Supreme Court of the State of Sierra Leone”. 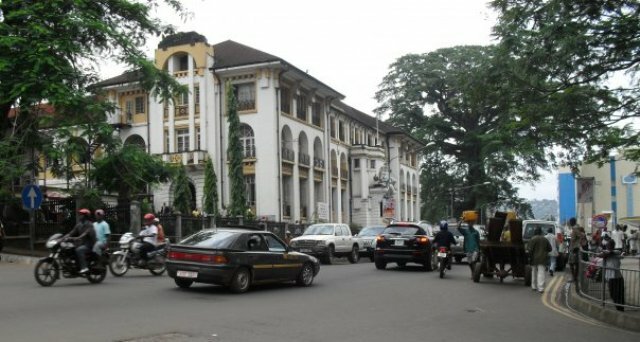 It has quite pertinently been observed by a certain jurist, that the future constitutional evolution of Sierra Leone revolves around, inter alia, the question as to whether those who govern will be willing to accept legal limitations on the exercise of their powers and adhere to legality in the performance of their functions, consistent with the principles of constitutionalism. This is referenced in Justice Bankole Thompson’s – ‘Constitutional history and law of Sierra Leone (1961-1995; pages 252-253). Are you concerned that tensions could escalate? 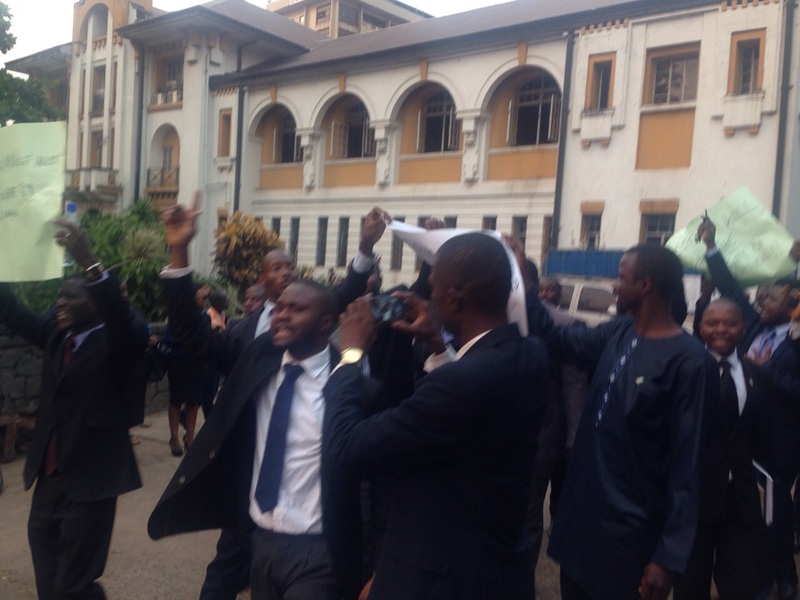 I am deeply troubled by the disruption of the meeting of the Sierra Leone Bar Association last Friday by the police. And I am calling for calm. But at the same time, I endorse the Lawyers’ determination to defend their freedom of speech and association, which is also protected in our constitution. The sanctity and primacy of the judicial system in a democracy, must be part of a new Sierra Leone – post 2017. So why have you been silent for the past two weeks until now? As a practitioner of and global leader in international development and international relations, I have trained myself to appreciate that in dealing with complex issues, I should always first check the facts and second, seek superior knowledge from those who are subject matter specialists. In expressing my own personal opinion now to the Sierra Leone Telegraph – after considering the views of our legal luminaries, rather than yielding to the shouts from the gallery, I am accepting with humility that I am not a lawyer. So when it comes to legal matters, let the legal establishment speak first, then we – the laymen/women, will follow. On serious matters such as this constitutional crisis, it is important that we avoid cheap political point scoring. Do you see hope now for a speedy resolution to this constitutional crisis? I am grateful to others who freely and frankly spoke to me directly concerning the medium and long-term political implications of this crisis, particularly – Mr. Sulaiman Banja Tejan- Sie and Mr. Andrew Keili. I will consult others in the next few days. I urge the government to seize the moment and dialogue with the leadership of the main opposition party – the Sierra Leone People’s Party, the Labour Congress , civil society and religious groups to establish and map out a peaceful and amicable way forward. I would be ready to assist in facilitating such dialogue, if my services are needed. Further, how this issue is resolved will have great implications – for better or for worse, for democracy, peace and stability in our country. At the same time, the judges of the Supreme Court now carry a big moral obligation to this and future generations especially. Their judgement in this constitutional crisis will be written in the annals of history – both nationally and globally, for other jurists to read and admire their moral courage and clear sense of purpose in upholding the rule of law. Posterity will be their judge. I respectfully urge all parties concerned to stay calm and wait for the outcome of the judicial due process. As the Supreme Court deliberates on this matter, I will refrain from commenting further on what other actions should be taken by government. The international community who are bankrolling the Koroma’s administration should force the hands of the APC government to respect the fundamental rights of the citizens of Sierra Leone. President Koroma and his cabal must understand that their selfish actions is undermining the fragile peace in Sierra Leone and they will one day be held accountable in a court of law. I am not a supporter of chief Samuna, but I am with the view that president Koroma’s action is unconstitutional and must be reversed. He should understand that in the 21st century, corrupt and dictatorial leaders rarely succeed to enjoy the wealth they have siphoned into fake bank accounts. He should also note that leaders who undermine and manipulate the constitution for political and economic gains, unwittingly fall from grace with disgrace and with destruction to the very pedigree they strive to promote. Henceforth, leaders like Blaise Compaore, Mobutu, Gbagbo, etc, etc, have all suffered similar faith. I hope president Koroma will look back and take caution – he will suffer similar fate if he continue to undermine our democracy through which he was elected. He should publicly declare his assets and the assets of his ministers. And should also account for all Ebola funds that he and his administration have collected. Sierra Leoneans deserves better and must be treated justly and honestly. 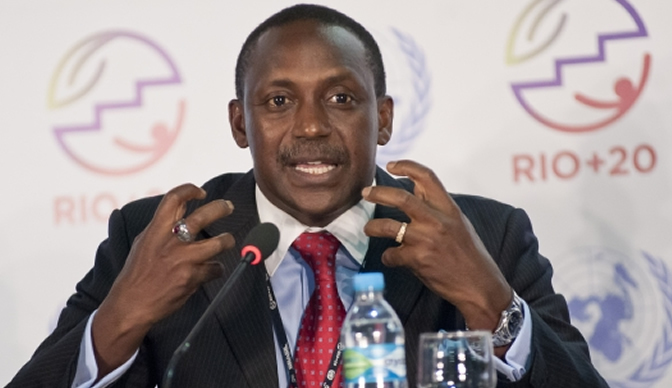 I keenly listened to Dr. Kandeh`s interview and fully support his view on the way forward. And at this moment, I would not like seeing people using violence or street protest that will spark uncontrolled consequences. Let us civilisingly make use of the legal system – preferably with the help of Commonwealth judges to look into this matter. I am in absolute agreement with your thorough and extensive analysis of a potentially volatile situation. I am also in agreement with your recommendations as to the resolution of this and other issues moving forward. I believe Mr Yumkellah has spoken well as an international diplomat and a Gentleman. 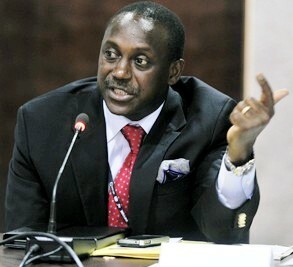 Bravo Kandeh. We pray that this national constitutional issue will be resolved soon, and may God guide us to the right direction. This country does not deserve going back to the dark history. We look forward to a brighter future, peace and sustainable development and steady growth. On Sunday, Singapore lost her former Prime Minister – Lee Kuan Yew who transformed the country from a 3rd world country to a 1st world country, just three decades after independence from Great Britain. Today, they are mourning for him, and his legacy will live forever. We need a leader that possesses his qualities to transform the sick system and conditions in Sierra Leone. It is great that Yumkella has come out openly to state his unimpeded views on issues of national significance as this. His statement and reasoning were indeed well thought out. Let us continue to hope that in due course, he would address issue of national implication in more timely manner. A rod that must be reformed should be hit when it is hot. Well said Yumkella. Restraint is the key here. It is also important to urge all stakeholders to use the country’s constitution as a guiding instrument to the current political divide. This was a very good interview with Kandeh Yumkella. When you interview him again, I’d like to know how confident he is in Sierra Leone’s Supreme Court. Will the justices be able to provide interpretation of the constitution which is not influenced by the government of the day? We live in the era of the prevalence of the rule of law, over the rule of the jungle. The truth can be very bitter at times!